Flower FormComparatively flat flowers with many rows of petals, slightly ruffled. Watering RequirementKeep soil moist but do not over water. Unique CharactersticsLearn2grow: From late fall to spring, 'Jury's Yellow' bears a succession of creamy-white flowers, each with a central ruff of pale yellow "petaloids." 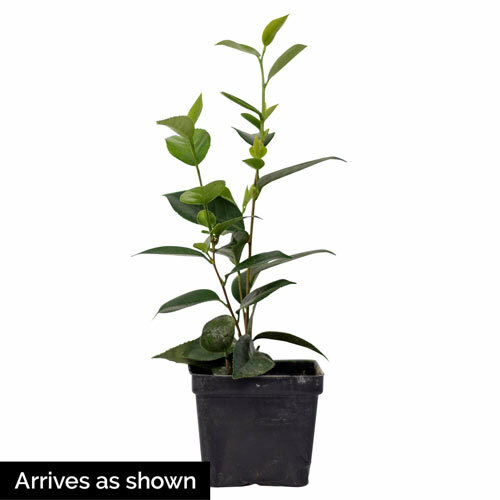 This large, broadleaf evergreen shrub has a dense, upright habit and attractive smooth gray branches furnished with oval, glossy, medium-green leaves. 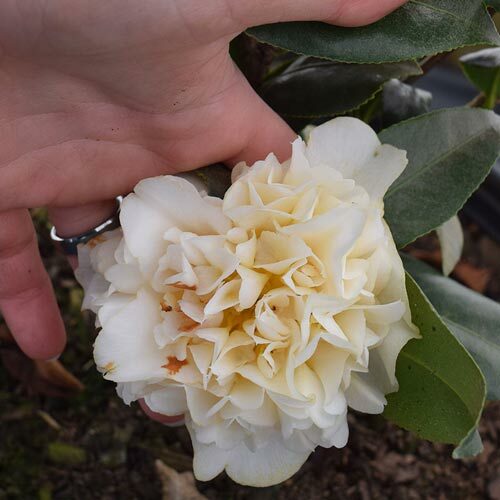 It is one of many named selections of Camellia x williamsii, the hybrid between Camellia japonica and Camellia saluenensis. The first Camellia x williamsii cultivars were developed by J. C. Williams of Caerhays Castle in Cornwall in the early 1920s. 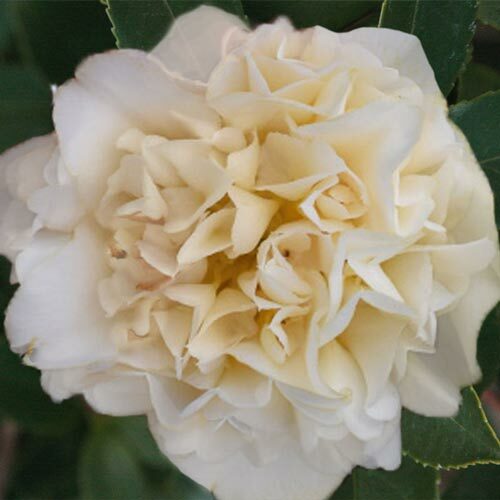 Camellias prosper in partial shade and evenly moist, fertile, non-alkaline soil. Often employed as specimen plants, they also work well in hedges, foundation plantings, and mixed borders. Their evergreen leaves and tender flower buds may suffer from sunscald and wind desiccation in winter, so avoid planting them in highly exposed areas.